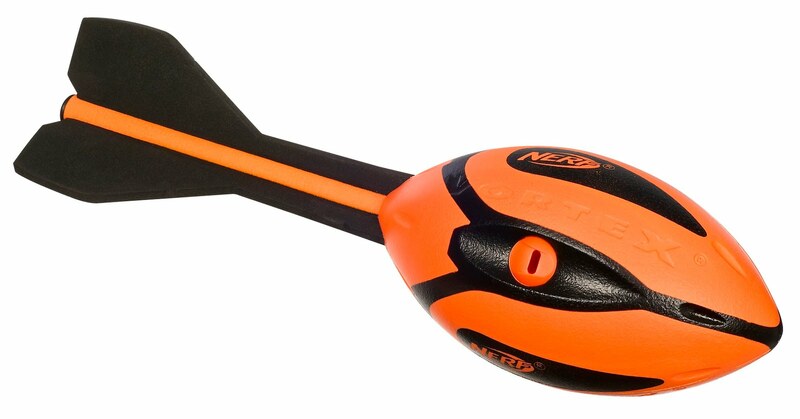 Do your kids love Nerf products? Mine sure do! Tristen especially enjoys anything he can toss around with his Dad. So, when we received the Nerf NFL Vortex Mega Howler Football to review, he couldn't wait to run out in the yard and play. These awesome footballs come in solid colors or your favorite NFL teams' colors and sport their logo as well. The tip of the football has a whistle, so when the ball sails through the air you hear a cool howl. My kids really enjoyed the howling aspect and Tristen appreciated that we were sent a Dallas Cowboy's football to review. So far they've spent hours playing with this great toy! At around $9.99, this awesome football would make a great Christmas gift or stocking stuffer. I really like toys that encourage kids to go out and move around, so this one gets high marks from me. You can find it at most nationwide toy retailers or online at HasbroToyShop.com.